Levi Strauss has teamed up with Evrnu, a Seattle-based startup that reconstitutes old fibers into new, to create the world’s first jeans made up of more than 50 percent post-consumer cotton waste. The two companies created the prototype, a pair of Levi’s 511s, using five used cotton T-shirts and a technique that Evrnu says consumes 98 percent less water than those associated with virgin-cotton products. The jeans, according to Evrnu CEO Stacy Flynn, provide a glimpse of a future where textiles are regenerated not just once but multiple times, paring down waste. 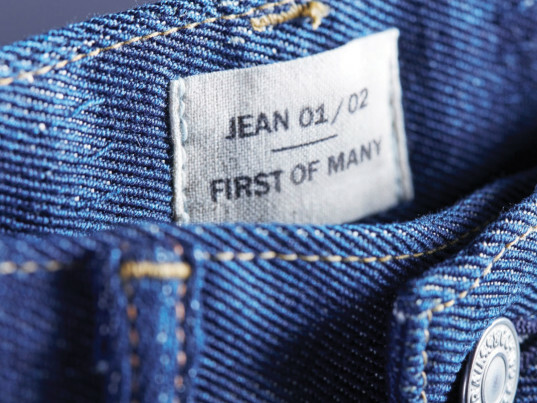 From its Water<Less finishing techniques to its Wellthread design process, Levi’s has long pursued water conservation with a near-evangelical zeal, but the denim giant has also spoken at length about its desire to facilitate a circular economy, one where the products and byproduct waste serve as feedstock, not fodder for the landfill. Levi’s is the first apparel company to harness Evrnu’s patent-pending technology, which breaks down cotton at the molecular level before extruding the resulting pulp into pristine fibers. In a life-cycle assessment conducted by Levi’s last year, the company discovered that denim’s cotton-growing stage was also its thirstiest. Comprising 68 percent of the total agua used in the life cycle of a single pair of jeans, cotton presents the biggest opportunity for cutting back on the wet stuff, Dillinger said. Other companies that have toyed with recycled denim include H&M, which has parlayed some of the clothing from its global textile take-back program into a collection of jeans, jackets, jumpsuits, and hoodies. Introduced in 2014 and expanded in scope the year after, the remade line consists of 20 percent recycled cotton—the maximum amount the Swedish retailer says it can employ without compromising the fabric’s integrity. Sounds like H&M should get Evrnu on the horn. Levi Strauss has teamed up with Evrnu, a Seattle-based startup that reconstitutes old fibers into new, to create the world's first jeans made up of more than 50 percent post-consumer cotton waste. The two companies created the prototype, a pair of Levi's 511s, using five used cotton T-shirts and a technique that Evrnu says consumes 98 percent less water than those associated with virgin-cotton products. The jeans, according to Evrnu CEO Stacy Flynn, provide a glimpse of a future where textiles are regenerated not just once but multiple times, paring down waste. 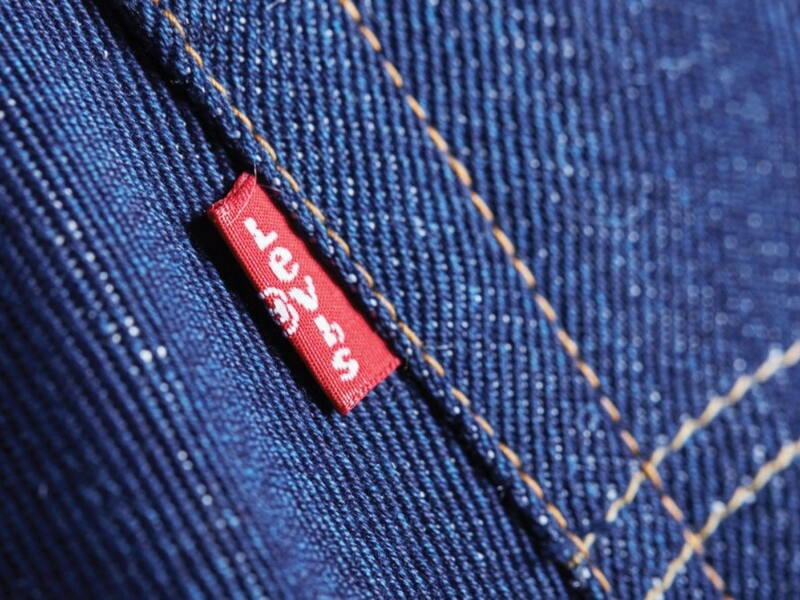 From its Water<Less finishing techniques to its Wellthread design process, Levi's has long pursued water conservation with a near-evangelical zeal, but the denim giant has also spoken at length about its desire to facilitate a circular economy, one where the products and byproduct waste serve as feedstock, not fodder for the landfill.